National Security Advisor John Bolton stated the obvious about the Arabs pretending to be Palestinians; viz., Palestine is not a State. The remarks came at a White House presser announcing the USA is no longer a party to the world body International Court of Justice (ICJ). The move primarily asserts that the United States will not lose its National Sovereignty to a world government body. And secondly the remarks thumb a news at those who interfere in Israel’s National Sovereignty by telling the Jewish State where and where not it can place its Capital City within the (true) Nation’s national borders. In this current state of media censorship & defunding, consider chipping in a few bucks for enjoying (or even despising yet read) this Blog. “It’s not a state now. It does not meet the customary international law test of statehood,” US National Security Adviser John Bolton stated. US National Security Adviser John Bolton put the Palestinian Authority’s (PA) official status into perspective at a Wednesday press briefing when he announced that the United States would no longer be a signatory party to the United Nations’ International Court of Justice (ICJ). “The president has decided that the United States will withdraw from the optional protocol and dispute resolution to the Vienna Convention on Diplomatic Relations. 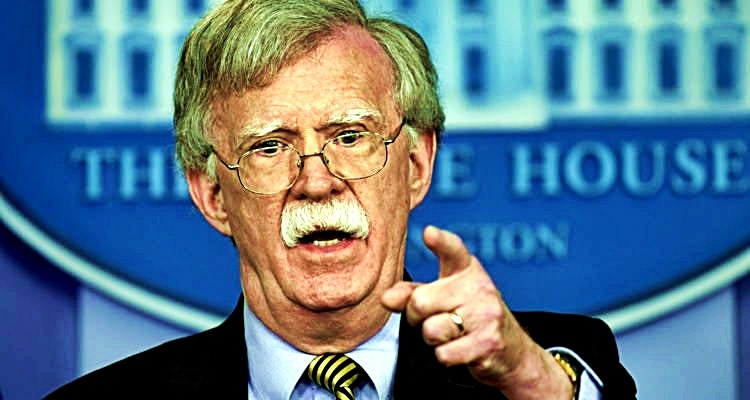 This is in connection with a case brought by the so-called state of Palestine naming the United States as a defendant [in the ICJ], challenging our move of our embassy from Tel Aviv to Jerusalem,” Bolton said. White House reporters immediately jumped on the adjective, asking whether calling the Palestinian Authority (PA) a “so-called state” was “productive,” considering that President Donald Trump had said he was working towards a two-state solution to the Israeli-Palestinian conflict. Bolton might have been referring to the fact that 137 countries have recognized the PA as a state since that date. He reiterated the US rejection of this position on a bipartisan level. Although the PA is only a “non-member observer state” at the UN, it was allowed to formally join the International Criminal Court in 2015. Since the court’s decisions are binding, the US, by leaving the protocol, blocked the Palestinian case. Bolton added that the withdrawal was part of a general effort by the Trump administration to protect US sovereignty from the reach of the international court. The goal of this website is to provide easy access to the latest news from Israel, presented in a truthful, honest way, with a focus on maximizing the user experience. It’s important to constantly improve the World Israel News website. Therefore, feedback and suggestions are greatly encouraged and appreciated! As I was putting together my own warning about Islam’s danger to America’s culture of Life, Liberty and the Pursuit of Happiness, Justin Smith sent a similar and admittedly much more erudite submission than my effort. Justin’s patriotism in this essay is justifiably passionate and undoubtedly drive Multicultural Leftists into apoplexy. I have been ringing the clarion bell warning on the existential threat of Islam for years — since 1979 — and it is only in the last few recent years, even after 9/11, that Americans even seem to remotely understand the methodology and machinations within Islam, Sharia law and all that it demands of its adherents and all non-Muslims they engage. There are some who foolishly believe Muslims are just like us and only differing by praying on mats pointed to Mecca, with their faces on the floor. Wrong! Their history belies their intentions toward you. Do not be beguiled by the weakest among them; be warned by their most violent and pernicious and be aware it is impossible to tell the difference. Muslims aren’t necessarily trying to “change our Constitution”, but they do use its freedoms to support their call for Sharia Law in America. 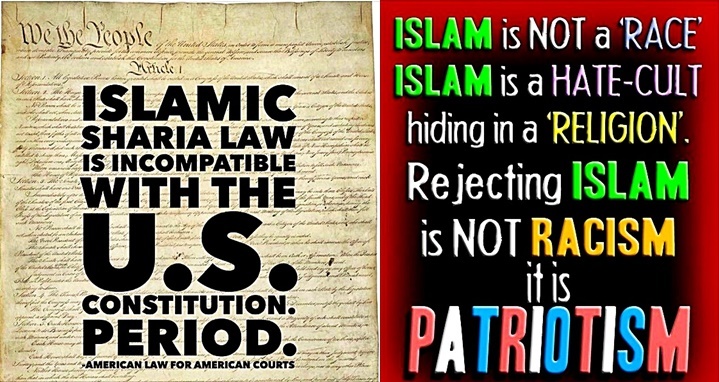 They work continually to try to codify Sharia Law into U.S. Law, but fortunately, many states have passed the American Laws for American Courts bill that prevents a judge from considering any Sharia precedent in a case. This does not stop the current advancement of Sharia Law as a parallel system in our communities, which leads to the Balkanization of any nation. Sharia Law is the mechanism primarily behind the creation of entire Muslim operated communities, cities and regions — the “no go zones” one finds in France, Germany and the U.K and now here in America, in places like Dearborn, Michigan, Minneapolis, Minnesota and Islamberg, New York. Ask yourself, what is the value to us from the world of Mohammedanism and Islam? What value has Islam contributed to human society in the last 500 years? Name one worthy thing besides couscous it has given the world in that time? In every country where Muslims are in the minority, they are obsessed with minority rights. In every country with a Muslim majority, there are no minority rights. But it’s not just the Muslims who are representing the threat to our Constitution and the entire nation by way of Sharia Law. During her tenure as Dean of Harvard Law School, Elena Kagan, now a Justice of the U.S. Supreme Court, revealed, inadvertently or not, the evil agenda of the Leftists in her May 2007 presentation, in which she stated that Sharia Law was compatible with our Constitution and could be incorporated within U.S. law. In Dec. 2005, she accepted $20 million from Saudi Prince Alwaleed bin Talal for her pet project at Harvard, the Islamic Legal Studies Program. There exists an entire group of people in all echelons of our government, from the local and state to the federal, some citizens and some not, who have been educated and lived much of their lives abroad. From the former “president” on down, many of these people have little connection and even less love for our Republic and the traditional American culture and principles upon which the U.S. was founded. These collaborators and traitors continue to tolerate the abuses and acts of terrorism those sons of Mohammed commit, and while they do not hesitate to command a 95 year old invalid to remove her diaper in an airport, a “possible security risk”, due to their own cowardice and complicity, they cannot and will not name the enemy, because the enemy is them and their Muslim allies. There is one common thread for all the misery, death and suffering in the Middle-East, which is pervasive and dominant…Islam. To welcome its adherents and believers into your midst is to welcome coming misery, suffering and death in equal proportions to the size of any host nation’s Muslim population, until they reach majority at which time misery metastasizes. The formula here is not hard to discern. They complain about discrimination as a minority until they gain control, at which time their discrimination against other ideologies and all religions is all consuming. The enemy is Islam and the Sharia Law doctrine that accompanies it! There is a ring of fire and death around Muslim territory in the Middle-East, South-East Asia, Africa and the “Stans” regions. Any area Islam touches is consumed by and impaled by the eon-and-a-half-old program of proselytizing with force and conquest, by the zealots of the ideology of Islam, the Muslim so-called “religion of peace”. To invite them in is to invite the enemy into your camp. Keep Islam confined within the ring. One should note that Japan does not allow Islam to exist inside its country. Islam cannot be practiced and Muslims are not allowed to live or work there. Muslims are not allowed to immigrate to Japan; and just recently, on Friday June 8th, Austria announced that it would expel sixty Turkish-funded imams and close seven mosques, in their crack-down on political Islam. And that is why our future elections remain critical, if we do not want to continue on our own current path of Islamization and become just as cowed and badgered and suppressed, especially through hate-speech “laws”, as Eurabia. We need to elect people who understand the existential threat of Islam and who will pass laws aimed at deporting Muslims and extinguishing and eradicating Islam’s influence and presence in our country. All Muslims must be expelled from America and all mosques destroyed. Muslim immigration to America must be halted. All source links are by the Editor. This is a must read. I am hoping to have at least one of the authors on my June 28th show when I move to Thursdays. This is a must read! That show, by the way, is Civilization Jihad Awareness with Paul Sutliff on Blog Talk Radio. The show comes on live, but it is archived. You should go there and catch up. The pdf is 20 pages with foot notes. Take your time and thoroughly read the CSP analysis. I could probably write a whole other post trying to introduce this extremely important analysis, but I won’t. That which I say will little justice to the content presented, but here goes a brief thought. The central bad guy as to American National Security is Russia. 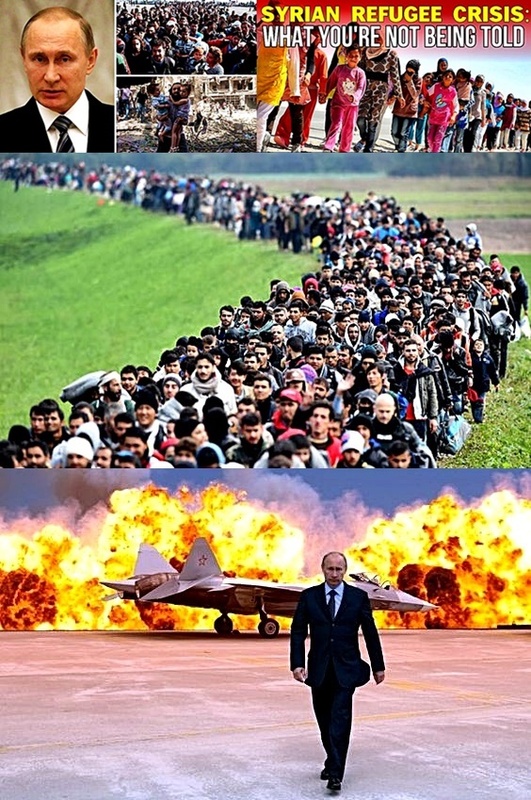 You will discover that Russia is at the heart of the Muslim Refugee crisis smacking Europe. AND in relation to that you should understand the Russian goal is destabilization first in Europe and second in the USA. Russia even has tentacle infiltrating European Nationalist movements to foment societal chaos while also publicly supporting the Multicultural Left ideals. This duo strategy has only one purpose: cultural destabilization designed to disunite European resolve and alienate a united Europe away from America. TRUST ME! Those brief words about “Russian Strategy and Europe’s Refugee Crisis” is only the mere tip of the iceberg that I pray you take the time to fully understand what the authors J.R. Nyquist and Dr. Anca-Maria Cernea are trying to enlighten you concerning the survival of our Western Culture via strategic concepts of National Security and National Interests. Forty years ago, a serious long-term problem confronting Moscow was the USSR’s fast-growing Muslim population. It was then speculated that the Soviet Union’s high Muslim birthrate would turn the USSR into a majority Muslim country by the middle of the twenty-first century. It is a strange joke, and more than a curious twist of fate, that NATO faces this same prospect today. Of special interest, and contrary to public declarations, Russian and Chinese technicians were busy helping ISIS to maintain its captured oil rigs and refineries, while Russian trained Iraqi military officers (formerly in Saddam Hussein’s army), were leading ISIS forces against the Baghdad government (which government set up a joint intelligence headquarters in league with Iran and Russia).5 From this and other evidence it appears that Russia has been playing a double game in the Middle East. After arriving in Syria, Russian air units launched bombing raids against Syrian civilians, adding to the refugee flow in late summer. Of course, the refugee crisis was well under way before the Russians arrived. It had peaked earlier. What the bombing showed, however, was Russia’s strategic intention. The Syrians and the Russians were following a pre-defined path. The bombers were the icing on a cake already baked. Long before the Russian bombers arrived other means of pressure had been employed by Syria – including the use of chemical weapons. Refugees (and terrorists) had long since flooded into neighboring Turkey. Through the spring and summer of 2015, the numbers were getting larger and larger. A significant proportion of these masses moved into Europe. This paper will present evidence and arguments that Russia and her allies (Syria and Iran) set this process in motion as part of a larger strategic design. The authors believe that Moscow does not act haphazardly. Rather, its moves are carefully thought-out in advance. The strategy being applied is complex, its objectives masked by disinformation and subterfuge, extortion and blackmail, organized crime and false flag terrorist operations. The core strategy, he explained, “was splitting Europe from America.” In the 1980s this was attempted with the threat of war. But now, under present circumstances, a different method would have to be devised. “What happened on 9/11 was just an omen of things to come,” he explained. Was Kalashnikov talking about Europe? Illarionov’s prediction carries forward the suggestion that Moscow instigated the migrant crisis. For how else could Illarionov have known about an “Islamic spring” involving “movements and activities … in Europe”? His prediction was an unlikely direct hit. To know something in advance is to know something is being planned. Illarionov clearly predicted the most significant event of the following year. He also implied this event was planned to distract the West from Russia’s aggression against Ukraine. And this prediction fits perfectly with the analysis of Lt. Col. Viktor Kalashnikov, a resident of Moscow, who warned of Russia deploying “terrorist armies” in 2013. The fact is, people in Moscow knew what was coming. And why wouldn’t they? It takes enormous resources and real planning to move millions of people from the Middle East to the heart of Europe. A lot of people had to know in advance, if only to set up the needed transport system. Prof. Żurawski also noted that, “Anti-immigrant parties in the West are usually pro-Russian (Front National, AfD); so deepening the crisis helps Russia’s followers in the West.” This point should not be overlooked. (Kalashnikov hinted at this factor with reference to Hungary more than a year before the refugee crisis began.) Here the manipulation of the European right that takes center stage. Moscow has every reason to believe the European anti-immigrant parties will gain political traction as the refugee crisis intensifies. Moscow, therefore, has reason to invest in the European right. Simultaneously, Moscow also uses its agents on the European left. These agents intensify the crisis through “politically correct” policies. As the left drives the crisis forward, the right opposition grows and seeks ready allies – and is driven into Moscow’s open arms. What is the ultimate strategic value of the infiltration and manipulation of fringe parties and paramilitary groups? Keeping this question in mind, when we look at the present-day chaos in the Middle East, Russia’s past support for terrorist organizations of every kind becomes less and less of a riddle. There is something about the Russian strategy that is difficult to explain to our Western allies. It’s the fact that Russia usually acts on both sides of a (real or manufactured) conflict. For instance, on [the] Internet we notice that Russian propaganda, disinformation or trolling activity on forums and social networks typically carry messages meant to create/amplify conflicts between different ethnic or religious groups – Romanians versus Hungarians, Poles versus Ukrainians, Christians versus Jews, etc. And they encourage at the same time groups with opposed views – far left anti-market tendencies [versus] libertarian ones, LGBT-rights [versus] conservative Christian activism, open-border multiculturalism [versus] anti-immigration movements, etc. Thus, Russia is able to provoke conflicts and crises, and to influence the public agenda of the countries it targets for subversion. This ambivalence may seem paradoxical to Western minds, used to a binary logic according to which something cannot be black and white at the same time. Well, Russians are not Westerners. In the East, black and white may be defined in many different ways. Moreover, the Russian leaders still function according to a mentality shaped by Marxist dialectics, which says that progress results from the constant struggle between contrary elements. Bostan has laid out one of Russia’s key strategies. He says this kind of strategy is “difficult” for the West to understand. As Rudyard Kipling expressed it, “East is East, and West is West, and never the twain shall meet.” At some point in the future, however, the West must learn to appreciate Russia’s “scissors strategy” – “that Russia usually acts on both sides of a … conflict.” If there is one central lesson to be drawn from this study, Bostan has underscored it. In their Atlantic Council article, “From Russia with Hate,” Péter Krekó and Lóránt Győri explain how Polish counterintelligence “is currently investigating Mateusz Piskorski, the leader of the Polish leftist party … as well as former activists of the far-right Polish Congress of the New Right (KNP) on charges of espionage on behalf of Russia.”31 Here is the classic Russian “scissors strategy” at work If the refugee crisis is part of a Russian scissors strategy, how does Russia benefit? First, political tensions are intensified between the European right and left; second, the right can be pushed toward Moscow by a variety of mechanisms; third, a general weakening of NATO develops under a scenario of “divide and conquer”; fourth, a general demoralization and loss of belief in existing institutions naturally follows. Degeratu is extraordinarily perceptive, and other experts agree with his assessment that Russia is waging a hybrid war against Europe. “Maybe some of us are too militarily-minded and ask questions that shouldn’t be asked,” said Degeratu. If Moscow’s wars in Afghanistan and Chechnya were built around terrorist provocations, and the objective was to radicalize and infiltrate Islam, and reorient Islam against the West, then the wars in Afghanistan and Chechnya appear in a more intelligible light. The Soviet Union did not invade Afghanistan for conventional reasons, or to attain classical military control. With the advent of the refugee crisis in Europe, with the likelihood of thousands of terrorists settled within a mass of protected Muslim refugees, the least sign of Russian involvement – or the involvement of Russia’s Islamist surrogates – ought to inspire a shockwave of alarm through Europe’s security establishment. Given the history of Moscow’s infiltration of Islam, and the mounting evidence of Russia’s double game, the Kremlin would be the most natural suspect in any close study of the refugee crisis. Arguably, any other focus would be irresponsible. At that time Islam was the religion of the oppressed … of the people colonized by the West. As Lenin said by the time of the … Communist International, ‘The West is existing at the expense of the East.’ Even now we can hear such conclusions, such ideas. And as soon as the Russian Revolution took place, Russian Muslims immediately supported it, so that the communist Muslim military organizations were formed. The Muslim communists were dethroning the local bourgeois Muslim governments which appeared in the Russian Empire47. In October 2015 the Czech Minister of Defense, Martin Stropnicky, suggested that Russia was possibly financing the transportation of refugees to Europe. “Although I do not have 100 percent proof of this information,” he said, “I cannot discount it either.”50 Given all we know, his surmise is logical. It is sensible. Why wouldn’t Russia – which has armed Islamic terrorists throughout Asia – arm Islamic terrorists in Germany, Britain, France or Sweden? According to a member of the Estonian National Defense League, Ants Laaneots, “Putin’s aim is the disintegration of the European Union and NATO, if possible.” Russia, he added, is promoting “Euroscepticism.”51 More likely, Russia’s strategy includes many subtle and indirect objectives. As with the work of the late Mohammad Fahim in Afghanistan, Russia can take over a NATO-defended country through the work of an enterprising criminal. Russia can thereby paralyze the heart of Afghanistan or the heart of Europe in a way that mocks European compassion. According to Landsbergis, the current migration crisis is a threat to European civilization. The cost to Europe, however, is much more than a $1 billion. Gerashchenko added that an atmosphere of xenophobia has been created in Europe along with the growing influence of various nationalist parties, which are known for their favorable position toward Putin’s Russia. Whatever the causes of the Refugee crisis, Moscow’s strategists have taken full advantage of the situation. Those who know Russian policy best, who are geographically further east, know that Russia has something to gain. If a “smoking gun” is absent, in a strict sense, there is yet a loaded gun. One might say this gun is pointed at the heart of Europe. With regard to proof, the strategist does not wear a white lab coat or follow some academic procedure to understand the world. He is not a prosecuting attorney who has to prove his case in a court of law. He is engaged in “a duel on an extensive scale” – which was Carl von Clausewitz’s famous definition of war. If military and political leaders only acted on the basis of scientific proof – or rely on proofs used to convince a jury – they would not be able to act at all. The soldier and the stateman exercise judgment on a more commonsense level. Consider the following analogy: If it is 2 December 1941 and an American plane spots six Japanese aircraft carriers moving east between Alaska and Midway Island, a sensible strategist would assume that the Japanese were intending to attack the U.S. naval base at Pearl Harbor. The sensible strategist would be quite foolish to declare that “there was no proof” of a Japanese intention to attack. It would be pedantic, under the circumstances, to say there was “no smoking gun.” Strategy dictates an entirely different epistemology. The reported movement of the Japanese aircraft carriers would constitute a loaded gun, aimed at the U.S. Pacific Fleet. A responsible military leader does not wait for that gun to be fired. An American admiral, drawing the proper inferences, would know exactly what to do. He would alert the fleet at Pearl Harbor and take countermeasures. He would know, as one who directs fleets, that every enemy move speaks to intention. That must be the foundation of his certitude, of his practical knowledge. In terms of the Muslim refugee crisis in Europe: reports of ISIS training camps in Russia, reports of GRU/SVR and Russian Mafia assistance to a massive influx of refugees, reports of Russian infiltration of terrorist organizations throughout the Muslim world, etc., constitute a loaded gun. We must judge these reports as strategists – not as social scientists or academics. This must be the foundation of a new strategic methodology for the Muslim Refugee problem. Clearly, this is not simply about Islam. Russian involvement is indicated. Russian strategy must be understood as part of a greater strategic whole in order to properly assess the larger situation. 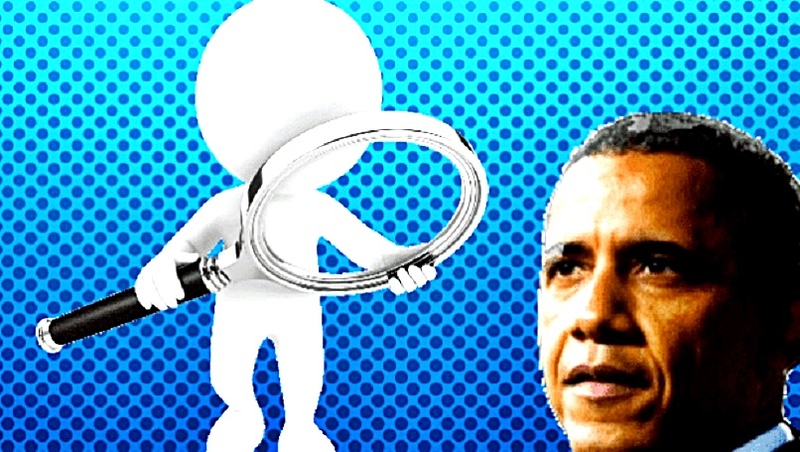 12 The former intelligence official was interviewed by J.R. Nyquist on condition of anonymity. 13 Katehon’s president is Konstantin Malofeev, a Russian oligarch with close ties to Aleksandr Dugin, previously the co-founder of the National Bolshevist movement (along with Eduard Limonov). This was a movement which combined nationalism and communism (i.e., a Red-Brown prototype movement). More recently Dugin changed his ideological formula, mixing pan-European or Eurasianist ideas with nihilistic metaphysics in order to justify a worldwide anti-U.S. alliance between traditionalist and Marxists. All this is interspersed with a thinly disguised Lenin-style anti-capitalist millenarianism which seeks to hasten the “end times” with the destruction of Carthage (i.e., the United States). Dugin’s pretense at Orthodox Christianity should not be taken any more seriously than his nationalist pretenses. His entire ideology is an arcane justification for a renewed USSR/Third Rome. His enemies are the old enemies of the USSR. His friends are the old friends of the USSR. Dugin’s philosophic sophistication is not to be taken seriously, though his past fascination with Aleister Crowley’s black magic craves closer investigation. Of course, Dugin’s flirtation with esoteric ideas has helped to win adherents on the alt-right, particularly among neo-pagans, occultists and Sufis. His supposed positive attitude toward traditional Christianity leads to the conclusion that he is consciously toying with dialectically opposite theologies and ideologies. Using conspiracy theory as a tool to advance his anti-U.S. agenda, Dugin also pretends to support President Donald Trump, making English language broadcasts praising Trump for stopping globalism and “the expansion of liberal ideology.” Dugin also praises Alex Jones and Infowars. To watch Dugin’s English language broadcasts, see – “The Mystic Shaping Russia’s Future and Bringing Back the Dark Ages, https://godsandradicals.org/2017/03/28/the-mystic-shaping-russias-future-and-ending-the-modern-era/. See also, http://www.4pt.su/en/content/who-aleksandr-dugin and https://www.nationalreview.com/2014/06/dugins-evil-theology-robert-zubrin/. 19 https://www.youtube.com/watch?time_continue=27&v=F6vj0z_oZIs – at about 15 minutes into the interview. 24 From Żurawski’s written reply to Dr. Cernea. 29 Bostan was minister from Nov. 2015 to July 2016. 30 Written response to inquiry of former Communications and Information Minister Marius Bostan to Dr. Cernea, dated 3 March 2018. 37 See, especially,Yao Ming-le, The Conspiracy and Death of Lin Biao (1983). There it is explained how Gen. Lin Biao secretly prepared to wage a phony war with the Soviet Union in 1971. 38 See, especially, Bearden and Risen, The Main Enemy: The Inside Story of the CIA’s Final Showdown with the KGB (New York: Random House, 2003), p. 233. 40 Ronald Rychlak and Ion Mihai Pacepa, Disinformation: Former Spry Chief Reveals Secret Strategies for Undermining Freedom, Attacking Religion, and Promoting Terrorism (WND Books, 2013). See also, Pacepa, Red Horizons: The True Story of Nicolae and Eana Ceausescus’ Crimes, Lifestyle, and Corruption (1990). 42 In this matter Leitzinger offers citations from the following sources: Livingston & Halevy, Inside the PLO (USA, 1990), p. 153-154; and Kuzichkin, Inside the KGB – Myth and Reality (Frome, 1990), p. 302. 44 Deriabin and Bagley, KGB: Masters of the Soviet Union (New York, 1990), p. 252. The Center for Security Policy was founded in July 1988 by 30 national security policy practitioners united by an overarching goal – to perpetuate the time-tested policy Ronald Reagan used to such transformative effect during his presidency: “Peace through Strength.” Led by Frank Gaffney, a former Reagan Defense Department official and aide to Senators Henry “Scoop” Jackson and Senate Armed Services Committee Chairman John Tower, they founded a non-partisan, educational public policy organization with a single, overarching mission: secure freedom. The Center has diligently advanced that goal ever since through a combination of: cutting-edge public policy research; the skillful and evolving use of multi-media platforms for outreach to – and impact with – the nation’s leadership and people; and, most uniquely, the creation and direction of coalitions to undertake effective advocacy. 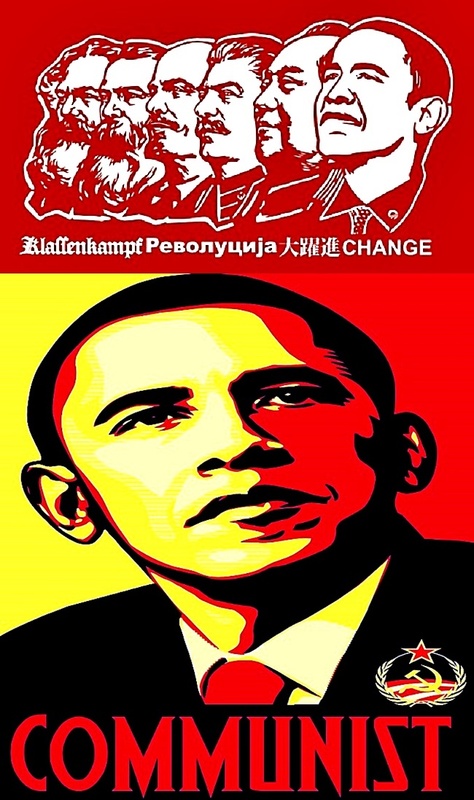 Cliff Kincaid writes about the stealth threat of Communism still pervasive in America and gives a huge amount of credit to Barack Hussein Obama for this stealth infusion. Kincaid mentions Sebastian Gorka as a person exposing Communism intrusion from China and the infusion of Stealth Islamic jihadism in the USA. But Kincaid criticizes Gorka for not including Russia (former USSR) in this Marxist makeover being secretly paved into the American consciousness. I’m a Gorka fan so I not really hip to criticizing him. I would be more inclined to ask Gorka to add the Russian influence to the other outside anti-American influences. I have no doubt Gorka would side with that. President Xi Jinping, also general secretary of the Communist Party of China (CPC) Central Committee… said that as a party upholding Marxism, the CPC should make sure its theories keep up with the times. Drifting away from or betraying Marxism will lead to the Party’s losing its soul and direction as it moves forward, Xi added. Marxism is unsurpassed in achieving great heights and having a huge influence, he said. America’s Survival, Inc. is recognized as a 501 (C)3 organization by the IRS. Your donation is tax-deductible to the full extent of the law. America’s Survival, Inc. (ASI) is recognized as a 501 (C) 3 educational organization. ASI President Cliff Kincaid is editor of the ASI web sites www.usasurvival.org, www.stopglobaltaxes.org, and www.religiousleftexposed.com ASI is on Facebook and Twitter and has a YouTube channel featuring videos from ASI conferences and other events. ASI specializes in exposing the United Nations, international organizations and extremist movements. We are currently working to re-establish committees or subcommittees to investigate internal security problems. Justin Smith discusses the acts of war conducted by North Korea that includes nuclear ICBM nuclear provocations. America can no longer afford to hurl ineffective economic sanctions at North Korea, that are too often violated by nations like China, while North Korea and its malevolent dictator, Kim Jong Un, prepare to let nuclear armed missiles fly at their leisure. The United States government and President Donald Trump must give some hard, serious and real consideration on striking at the heart of Pyongyang North Korea, Kim Jong Un’s regime and all North Korean missile launch sites and nuclear facilities, since placing our country’s fate in the hands of a murderous and unstable dictator, who has murdered senior officials and family members on a whim, and a regime capable of reckless behavior would be beyond egregious and a monumental mistake. On July 4th 2017, North Korea conducted a missile test of the Hwasong-14 that was a success in many ways. There is little reason to question North Korea’s claim that the missile reached an altitude of over 1700 miles and hit a target 580 miles away, in light of the fact that North Korea placed two satellites in space in 2012. 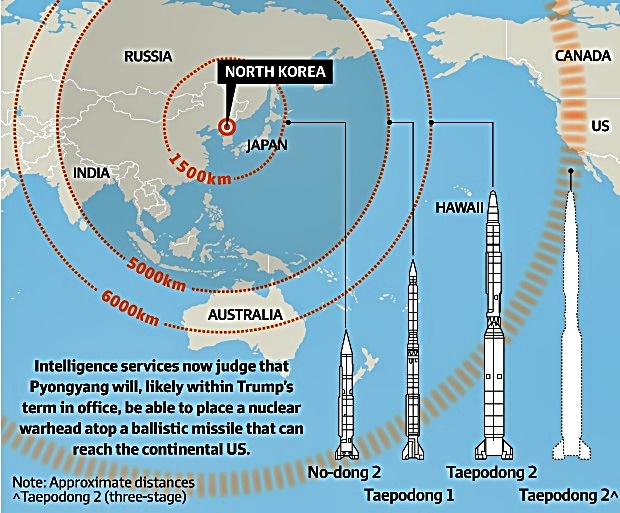 This demonstrated that, at a lower altitude and straighter trajectory, Anchorage Alaska, Guam, Hawaii, Japan and even Queensland Australia are within range of Pyongyang’s nuclear missiles, once it perfects the process of miniaturizing the nuclear warheads. Washington was also served a warning. An intercontinental ballistic missile (ICBM) launched from North Korea would hit Los Angeles within thirty minutes. Riki Ellison, chairman of the nonprofit Missile Defense Advocacy Alliance, asserts that North Korea already has miniaturized warheads capable of delivering 20 kilotons of destruction, similar to the bomb detonated over Nagasaki during WWII, and many other experts predict that Kim Jong Un will have the capability to hit America’s West Coast before President Trump completes his first term. A nuclear armed and unpredictable rogue state, North Korea will not be deterred along similar lines as the former Soviet Union and China have been. They have less to lose than any previous nuclear power, and Pyongyang will most certainly attempt nuclear blackmail at best. In the worst case scenario, Pyongyang will give nukes to our Islamic enemies and third party terrorists, to insert in our harbors and cities. North Korea has pursued nuclear weapons, since the day it acquired nuclear technology from the Soviet Union in the 1950s. It is too close to success to stop. And besides, Kim Jong Un’s survival depends on a viable nuclear weapons system. Last month, Michael Auslin, from the Hoover Institute, bluntly told a group of journalists in Washington, “Negotiations won’t work“. This rogue nation knows no bounds, when it comes to committing acts of evil. Not only did they slowly murder [HERE and HERE] Otto Warmbier, a U.S. citizen and college student, over an eighteen month period, the Kim Family regime has committed numerous flagrant violations of the July 7th 1953 Korean War Armistice. This regime killed thirty-one U.S. Airmen, when it shot them down in South Korean airspace in 1969, and thirty-five North Korean soldiers hacked U.S. Captain Arthur Bonifas and First Lieutenant Mark Barrett to death in 1976, near the Demilitarized Zone. Also, in 1968, this regime captured the USS Pueblo in international waters and held 82 Navy crewmen for eleven months. And North Korea has never met with any meaningful consequences for their acts of war. North Korea was already blatantly defiant and violently aggressive without nukes and a missile delivery system. Just imagine how far Kim Jong Un will go, once he has a fully operational nuclear arsenal at his fingertips. Does anyone really believe a nuclear armed North Korea won’t exact a heavy price from the free world? An April 15th 2017 editorial in the Chinese Communist newspaper, the ‘Global Times‘, essentially stated that Beijing would not militarily intervene, if Washington conducts a preemptive strike against North Korean nuclear facilities. However, China won’t accept a non-communist regime in North Korea or U.S. troops crossing the 38th Parallel. If the U.S. strikes the Kim regime, China would likely focus on instituting a pro-China regime and possibly seizing North Korea’s missile and nuclear sites, rather than a war with U.S.-South Korea joint military forces. The Demilitarized Zone (DMZ) is less than forty miles from Seoul’s 25 million inhabitants and lined with 8,000 pieces of North Korean artillery and rocket launchers. Within the first hour of any renewed conventional war between the two Koreas, North Korea has the ability to unleash the equivalent of 300,000 tons of TNT on Seoul, possibly killing as many as 100,000 people. For this reason, during a May 2017 press conference, Secretary of Defense James Mattis stated, “If this goes to a military solution, it’s going to be tragic on an unbelievable scale”. Seoul has much to lose, however, any military move against North Korea doesn’t necessarily have to be the tragedy some U.S. officials have suggested it would be. And while America may be bound by treaty to defend South Korea, our leaders and President Trump cannot allow South Korean President Moon Jae-in’s conciliatory policy towards North Korea to place the U.S. in the untenable position of accepting a capable nuclear armed North Korea and any consequences that follow. On Wednesday, the Fifth of July, U.S. Ambassador to the United Nations Nikki Haley told the U.N. Security Council that our “considerable military forces” were an option. Continuing, Nikki Haley stated, “We will use them if we must, but we prefer not to go in that direction”. A preemptive strike is not a good option, and nobody assumes it would be easy. People will die on both sides, but North Korea’s nuclear threat is one that must be destroyed, before it grows too much stronger, or exponentially more lives will be lost in its wake years hence. America can do it without near the tragic results for Seoul that Secretary of Defense Jim Mattis states, if the U.S. will resolve to drop tactical nukes and MOABs on the nuclear facilities, the launch sites at Sohae and Tonghae [aka Donghae] and the eight thousand pieces of artillery and military units along the Demilitarized Zone simultaneously. One should note that prior to the signing of the Armistice in 1953 and the cease-fire that followed, President Dwight D. Eisenhower considered using nukes against North Korea to end the war. Secretary of State John Foster Dulles agreed that the United States should not shrink from using nuclear weapons, especially if their use prevented a greater loss of life over time, but he did favor limited use. Kim Jong Un arrogantly fired Hwasong-14 on America’s Independence Day, in utter contempt of any objections from either China or the Free World. America answered with U.S. Air Force B-1B Lancer bombers and South Korean and Japanese jet fighters joint flights over the Korean Peninsula on July 7th 2017, the sixty-fourth anniversary of the signing of the Korean War Armistice. Is it not apparent to the world that America is one of the last nations standing between tyrants and freedom? War should never be a first, second or even third choice. The Land of the Free, America cannot and must not tolerate a nation that enslaves and murders its own people and citizens from other nations. The Home of the Brave, America cannot and must not lapse into a fool-hardy and cowardly repose in the face of a fat boy tyrant, who called the Hwasong-14 test a “gift to the American bastards”. America must not find Herself firing off more sanctions on the day Kim Jong Un detonates a bright glowing nuke over one of our cities. Stopping North Korea requires war. Text within brackets and all source links by the Editor. 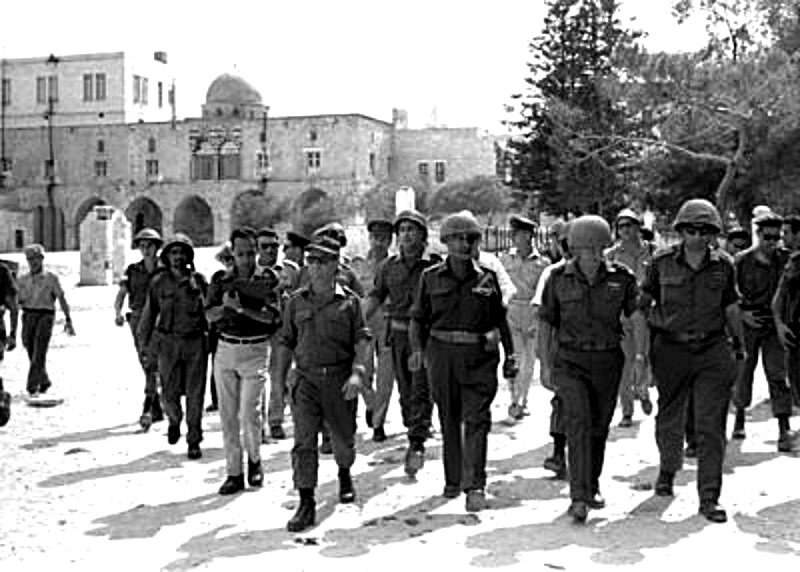 In the 1967 – 50-years ago – June 5 -10; Israel fought a war with at least four Arab nations amassing troops on Israel’s border. Begin counting from day one through the last day, you have the Six-Day War. Israel AGAIN defeated armies much-much larger than the Israel Defense Force (IDF). The Arab nations prepared for invasion for what they believed would be the utter destruction of Israel. Wisely, Israel utterly surprised the Egyptian military front by launching a preemptive attack which destroyed most of Egypt’s air force. Using the shock to Israel’s advantage, the IDF then launched their vastly outnumbered tanks and pushed Egypt out of the Sinai. Then Jordan and Syria launched their invasions unaware that Egypt had gotten their butts kicked in the Sinai. Although there was a less of a surprise, the IDF ultimately prevailed against Syria and Jordan. The Golan Heights was taken from Syria and the land conquered by Jordan in 1948 was taken back which included Israel’s heritage of uniting Jerusalem. Making Jerusalem whole allowed Jewish access to their most holy site left to them – the Western Wall still standing after the Romans destroyed the Jewish Temple circa 70 AD. 1/12 | In the first video of the mini-series, find out about the early steps that led to the 1967 Six Day War – a war that changed the future of Israel. Surrounded by enemy neighbors and only nine miles wide at its narrowest point, Israel was vulnerable. See all the videos as they are released: http://www.sixdaywarproject.org/. In May of 1967, the state of Israel was only 19 years old. At its inception in 1948, five Arab armies had coordinated a military invasion to prevent the creation of the small Jewish country. But Israel’s War of Independence succeeded in repelling the forces bent on Israel’s destruction. Israel reclaimed sovereignty over the ancient Jewish homeland, making way for the establishment of a Jewish country after 2,000 years of statelessness and periods of persecution. Yet despite Israel’s success in creating a new country, it did not enjoy peace with its neighbors. Terrorism and frequent attacks on three borders kept Israel in a perpetual state of alert. To the north, from the Golan Heights, Syria shelled Jewish communities below on a regular basis. In the South and East, Arab terrorists from Egyptian-controlled Gaza and the Jordanian-controlled West Bank infiltrated and perpetrated attacks on Israeli civilians, killing 400 in the 19 years since Israeli independence. The attacks reached the point that they were condemned as “deplorable” by then-Secretary General of the United Nations U Thant. Although the Jewish state had been welcomed into the United Nations and hailed by the international community, its Arab neighbors rejected its very right to exist, preparing to resume a war for Israel’s destruction which they had halted 19 years earlier. The Arab buildup for all-out war was very near. In this video – the first in a 12-part mini-series – you will learn about the regional atmosphere leading up to the 1967 Six Day War, and find out about the early steps that led to the war that changed the future of Israel. This video was produced by Jerusalem U in partnership with The Jerusalem Post, the Jewish Federations of North America, the Jewish Council for Public Affairs, the Jewish National Fund, the Israel Action Network, the European Jewish Congress and the Center for Israel Education. For more on the dramatic events and impact of the Six Day War, visit sixdaywarproject.org. Adam Garfinkle wrote an essay for the Foreign Policy Research Institute (FPRI) reflecting on his historical view of the results of the Israeli victory in the 6-Day War. The most important lesson of the June 1967 Arab-Israeli war is that there is no such thing as a clean war. That war was very short and stunningly decisive militarily; it has been anything but politically. From the Israeli point of view, military victory solved some serious near-term challenges, but at the cost of generating or exacerbating a host of longer-term ones—some of which may have come along anyway, some not, some of which may have been averted (or worsened) had Israeli postwar policy been different—and we cannot know for certain which are which. To ask whether what has transpired after the war “had to be that way” constitutes an aspiration to levitate the philosopher’s stone. At any rate, of the war’s many consequences, three stand out as pre-eminent. First, major wars change the societies that fight and endure their consequences. The Six Day War changed the political, social-psychological, and, in at least one key case, demographic balances within all the participating states and a few others besides, with multiple and varying secondary and tertiary effects over the years. Second, despite the war’s after-optic of a smashing Arab loss, it was the best thing that ever happened to the Palestinian national movement. And third, the war catalyzed a redirection of U.S. Cold War policy in the Middle East (and arguably beyond) from one teetering on the edge of generic failure to one of significant success. At this fiftieth “jubilee” anniversary of the war, buckets of ink will inevitably be spilled mooting and booting about such questions and many others; a lot already has been, and I am not reluctant to add to the bucket count. But before doing so, we all need to take a deep breath to inhale as much humility as we can—to remind ourselves what exactly we are doing and what we cannot do when we exhume moldering chunks of anniversarial history for reexamination. We are so very attracted to anniversaries in the long parade of political history. We love to draw clear lessons from them, if we can—and if we can’t some others will claim to do so anyway. We are also attracted to thinking in terms of parsimonious eras with sharp lines of delineation between them; anniversaries of turning or tipping points help us mightily to draw such lines—which is precisely why we call them epochal. Wars, mostly hot but occasionally cold, figure centrally in the pantheon of such points. There is a problem here—at least one, arguably more than one. Without yet having read this book, I cannot say for sure that this subtitle is not magnificently meaningful. But I can say for sure that it puzzles me. What does it mean to say that a region of the world is “broken”? Does it imply that before the 1967 Middle East War the region was somehow whole, a description that implies adjectives such as peaceful, stable, and nestled in the warm logic of a benign cosmos; and suggests that regional wholeness also meant that its state or regime units were seen as legitimate by their own populations and by other states and regimes? 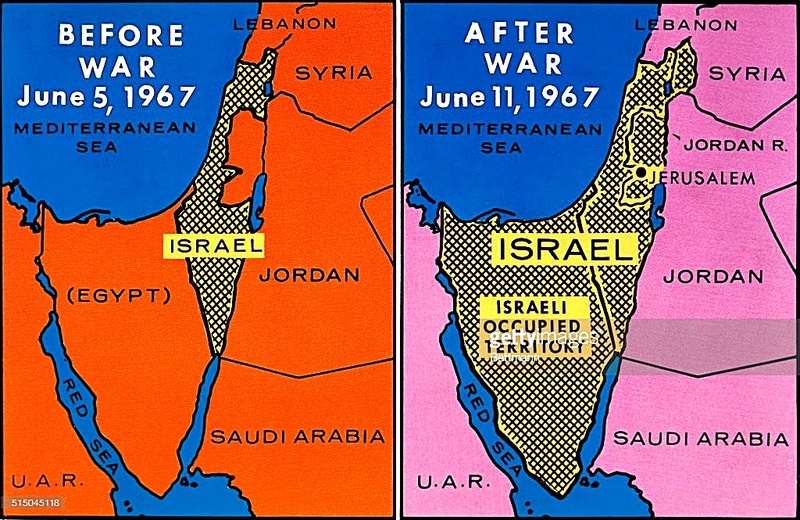 So on June 4, 1967, the Middle East was whole, and by June 11, it was well on its way to being broken? All of which is to say that the penchant for reposing great significance in anniversaries is often distortive, because for many it reinforces the right-angled sureties and sharp distinctions—and presumed causal chains leading into our own time bearing those precious, sought-after lessons—that historical reality rarely abides. Only by rounding off the ragged edges, usually with a rasp composed of our contemporary concerns and convictions unselfconsciously pointed backwards, can such artificial categories be devised. Ambiguity annoys most people, and so they go to some lengths to duck it, in the case of getting arms around history by generating categories, boxes, and labels into which to shove obdurate facts. History, meanwhile, remains the sprawling entropic mess it has always been and will always remain. To employ the anti-ambiguity rasp presupposes, too, that the craftsman commands cause and effect. We can, after all, only simplify a reality we presume to understand in its detail. When it comes to the Six Day War, that means presuming to know how it started and why, how it ended and why, and what the war led to thereafter in an array of categories: how the postwar geopolitical trajectory of the core Middle Eastern region and its periphery spilled forth; how the region’s relationship to the key Cold War superpower protagonists shifted; the war’s impact on the domestic political cultures of participants and near-onlookers; and more besides. The problem here is that we know with confidence only some of these causal skeins, and, what is more (or actually less), some of what we know has not stayed constant over the past half century. At one point, say thirty years ago, we thought we understood the Soviet government’s role in fomenting the crisis by sending false reports of events in Syria to the Egyptian leadership; after the Soviet archive opened in the early 1990s, consensus on that point has weakened as revisionist interpretations have come forth. Nasser’s moving-target motives at various points in the crisis leading to war seemed clear for a time, until they no longer quite did. Several more examples of elusive once-truths could be cited. Alas, every seminal event has a pre-context and a post-context: the convolutions of historical reality that give rise to an event and its causal afterflow. The further we get from the event, the greater the still-expanding post-context overshadows the pre-context, because we can see, for example, how various things turned out in 2017 in a way we could not have in, say, 1987. But so much else has happened that must, of necessity, dilute any construction of direct or preponderant causality. Thus, did the war push Israeli society into becoming more religious, as many have claimed? Did it help shift Israeli politics to the Right by transforming the relationship of Orthodox Judaism to Zionism, leading Orthodox Israelis to engage on many political issues to which they had been formerly aloof? Or was that a deeper social-demographic trend that would have happened anyway, if differently, war or no war? So we face a paradox: the richer the post-context becomes for any epochal event, the poorer becomes our ability to isolate its downstream impact. As already suggested, we often enough make up for that poverty by exiling natural ambiguity before the demands of our current questions or biases. That is how we predict the past. Scholars do try to isolate causal threads, of course, but differently because intellectual business models, so to speak, differ. Historians tend to seek out particularities; political scientists tend to search for general rules. Historians like their rocks fresh and jagged; political scientists like theirs rounded by patterns that flow through time. Each to their own intellectual aesthetic. And the rest of us? How do we chase truth in history? Consider that if you pick up a history book and a memoir old enough to serve as an adjunct to it, you will have in your hands two different perspectives on the political world. An international political history of the 1930s written in the 2010s will take a passage of reality—say about the British, French, and American reaction to the 1935 Italian aggression against Ethiopia—and might spend two sentences or perhaps a paragraph on it. A memoir written in the 1950s by someone actually involved in debating and shaping that reaction will read very differently, recalling details, sideways connections to other issues, and nuances of policies and personalities bound to be lost in a general text if it aspires to be less than 10,000 pages long. In a history book such a mid-level event is likely to be framed as a consequence of larger forces that were leading to more portentous happenings (say, World War II); in a memoir it is more likely to be framed as both illustration of a synthetic historical moment, akin to a zeitgeist that is fully felt but is recalcitrant to reductionist analysis, and partial cause of what came after. Which do we read; which do we trust? The answer is both, and wholly neither. How will the Six Day War figure in history books fifty years from now? There’s no way to know, because it will depend at least as much on what happens between now and then as it will on what happened in May and June 1967. But one thing we do know: As the post-context of the war doubles, the thinness and sameness of the description will grow, and be of little help in understanding how the main actors involved saw their circumstances. It will lose a sense of human verisimilitude. Details invariably give way to theme, and narratives grow shorter even as their truth claims grow larger. The thickness of memoirs will retain that sense of human verisimilitude. But what they provide in terms of broader context may suffer from too narrow an authorial aperture, and perhaps a bad memory in service to ego protection, if not other incidental causes of inaccuracy. As with many aspects of life, intellectual and otherwise, tradeoffs spite us in our search for clarity. The point of all this? Anniversaries are shiny. They attract a lot of attention, much of it self-interested and sentimental enough to lure some people into excessive simplifications if not outright simplemindedness. If someone will bait the hook, someone else will swallow it. We witnessed exactly such a spectacle not long ago at the 100th anniversary of Sykes-Picot, and we’ll see it again a few months hence with the 100th anniversary of the Balfour Declaration. But as Max Frankel once said, “simplemindedness is not a handicap in the competition of social ideas”—or, he might have added, historical interpretations. If it gets you on TV talk shows to sell your book, no form of simplification is liable to remain out of bounds these days. After all, what is fake history if not a collection of aged fake news? Never mind all that: I want people to read this essay, so rest assured that I know what happened and why, and what it all means even down to today. And now that I have donned sequins and glitter, I can be almost as brief and punchy as I am shiny, as is the current custom. What did the war mean for the region? Plenty. It proved to remaining doubters that the Arabs could not destroy Israel by conventional force of arms. It helped establish Israel’s permanence in the eyes of its adversaries, the world at large, and, to an extent, in the eyes of its own people. That changed Israel’s domestic political culture. It no longer felt to the same extent like a pressure-cooking society under constant siege, and that, along with demographic and other subterranean social trends, ironically loosened the political grip of Israel’s founding generation of leaders, and the Labor Party. Less than a decade after the war Revisionist Zionists came to power for the first time, and now, fifty years later, Israel has the most rightwing government in its history. Did the Six Day War directly cause that? Of course not; but it was one of many factors that steered Israeli politics toward its current circumstances. The war also began the occupation, first of Golan, the West Bank, and Gaza—in time a bit less of Golan and not of Gaza at all. If you had told typical Israelis in the summer of 1967 that fifty years later the West Bank would still be essentially occupied, neither traded for peace nor annexed, they would have thought you mad or joking. Israel as an independent state was 19 years and a few weeks old on June 5, 1967. The twentieth anniversary of the war in 1987 was about the midpoint of Israel’s modern history, half within-the-Green-Line and half beyond it. Now vastly more of Israel’s history has passed with the occupation as a part of it. Many more Israelis today cannot remember Israel in its pre-June 1967 borders than can—and that includes the Arabs citizens of the state as well as their ethno-linguistic kin living in the West Bank and Gaza. In Israel there is a huge open debate, and a constant more private discussion beneath it, as to how the occupation has changed the nature of Israeli society. It is a difficult debate to set premises for, because in fifty years a lot is going to change in any modern society, occupation or no occupation. My view, like that of most Israelis I know, is that the occupation has been significantly corrosive of many Israeli institutions. They would like the occupation to end if it could be ended safely; but increasingly most agree that it can’t be, at least anytime soon. The remarkable fact is that, considering the circumstances, the damage to morale and heart, beyond institutions, has not been even worse. Israel’s moral realism has proved resilient. But the damage has not been slight, and of course it is ongoing. As for the Arabs, the war crushed the pretentions of Arab Socialism and of Gamal Abdel Nasser. Within what the late Malcolm Kerr called “the Arab Cold War” it played in favor of the Arab monarchies against the military-ruled republics and hence generally in favor of the West; but it did not guarantee the safety of monarchical rule everywhere: Just 27 months later the Sanusi kingdom in Libya fell to a young army colonel named Muamar Qadaffi. None of the defeated Arab states lost its leader right away: not Nasser in Egypt, or King Hussein in Jordan, or Nurredin al-Atassi in Syria. But by the late autumn of 1970 Nasser was dead and al-Atassi had been displaced by Hafez al-Assad. Rulers also rolled in Iraq, and the very next year, with the British withdrawal from East of Suez, the United Arab Emirates came into being against its own will. The war, therefore, was one element—more important in some places than others—in a general roiling of Arab politics (and I haven’t even mentioned stability-challenged zones like Yemen and Sudan), those politics being pre-embedded, so to speak, in generically weak states (again, some more than others). Not that Arab politics was an oasis of serenity before June 1967 either, as a glance at post-independence Syrian history will show. Indeed, the contention that the Six Day War, by hollowing out the pretensions of secular Arab nationalism for all to see, presaged the “return of Islam” with which we and many others struggle today is both true and overstated—in other words, too shiny. The frailties of secular nationalism among the Arab states preceded the war and would have multiplied on account of any number and kind of failures to come, war or no war. In any event, the political impact of the Arab loss was mitigated by the “Palestine” contradiction that then lay at the heart of Arab politics. “Palestine” was, and remains to some extent, a badge of shame, for it epitomizes the failure of the Arab states to achieve its goals. Yet it is only a badge; the persistence of the conflict, sharply inflected by the 1967 loss, has served as a raison d’être for most ruling Arab elites, their unflagging opposition to Israel as a symbol of legitimacy. In the parlous context of inter-Arab politics, too, the conflict has served as the only thing on which all the Arab regimes could symbolically unite. Non-democratic Arab elites have used the conflict both as a form of street control internally, and as a jousting lance in their relations with other Arab states. Yet by far the most important consequence of the Arab defeat in 1967 was to free the Palestinian national movement from the clutches of the Arab states. The theory before June 1967 was that the Arab states would destroy Israel in a convulsive, epic war, and then hand Palestine over to the Palestinians. The hysteria that overtook the Arab street leading to war shows how widespread this theory was, and the war itself showed how hollow a promise it was. So the Palestinians took matters into their own hands for the first time, seizing control of the Palestine Liberation Organization from its Egyptian sponsors and reversing the theoretical dynamic of liberation: Palestinians would liberate Palestine, and that victory would supercharge and unify the Arabs to face the hydra-headed monster of Western imperialism. The key bookends of this transformation as it manifested itself in Arab politics writ large were the Rabat Arab Summit of 1974, which passed responsibility for “occupied Palestine” from Jordan to the PLO, and the 1988 decision by King Hussein to formally relinquish Jordan’s association with the West Bank, which it had annexed and ruled for 18 years after the 1949 Rhodes Armistice agreements. Terrorism, however, did put the Palestinian issue “on the map” for much of the world, and now, fifty years later, Palestinians can have a state if their leaders really want one and are prepared to do what it takes to get it—the evidence so far suggesting that they don’t, and won’t. Nevertheless, looking back from fifty years’ hindsight, the Six Day War was about the best thing that could have happened for the Palestinians; that fact that they have not consolidated that windfall politically is their own doing, but everyone’s tragedy. As to terrorism, it is true that the pusillanimous behavior of many governments in the 1970s, including some allied in NATO to the United States, helped the PLO shoot, bomb, and murder its way to political respectability. So one might venture that by helping to show that terrorism post-Six Day War can work at least to some extent, these governments bear some responsibility for the metathesis of nationalist, instrumentalist terrorism into the mass-murder apocalyptical kind we have witnessed more recently with al-Qaeda and ISIS. To me it’s another in a series of shiny arguments, more superficially attractive than fully persuasive. It is not entirely baseless, however. But far more important than what the war did for the thinking of the Palestinians was what it did to the thinking of the Arab state leaders whose lands were now under Israeli occupation: Egypt, Jordan, and Syria. Before the war, Arab support for “Palestine” was highly theoretical, highly ineffectual, and in truth amounted merely to a symbolic football the Arab regimes used to compete with one another in the ethereal arena of pan-Arab fantasies. Now, suddenly, the core national interests of three Arab states—including the largest and most important one, Egypt—became directly and ineluctably entwined with the reality as opposed to the symbol of Israel. The Egyptians, particularly after Nasser’s death brought Anwar el-Sadat to power, got downright pragmatic. Israel had something these three states wanted—chunks of their land. And the Egyptian and Jordanian leaderships, at least, knew that a price would have to be paid to redeem that pragmatism. Complications aplenty there were, as anyone who lived through the dozen years after the 1967 War knows well. Nevertheless, this critical divide among the Arabs—between state leaders who could afford to remain only symbolically engaged and those who could not—shaped inter-Arab politics then and still does to some degree today. First Egypt in March 1979 and then Jordan in October 1994 paid the price and made peace with Israel. It seemed like forever passed between June 1967 and March 1979, but it was less than a dozen years—quick by historical standards. While Egypt recovered the entire Sinai through its peace arrangement with Israel, Jordan did not recover the West Bank. The war had shifted the political demography of the Hashemite Kingdom, sending more Palestinians to live among East Bankers—some now refugees twice over and some for the first time. The consequence was to intensify Jordan’s internalization of its problem with Palestinian nationalism: It had lost land but gained souls whose fealty to the monarchy was presumably weak. The benefit of peace to Jordan in 1984, and hence its main purpose from King Hussein’s point of view, was therefore not to regain territory but to strengthen the stake that both Israel and the United States had in Jordan’s stability in the face of future challenge from any quarter, internal and external alike. Syria, do note, did not follow the Egyptian and Jordanian path to peace, and so the Golan Heights remain for all practical purposes part of Israel. The reasons have to do with the complex sectarian demography of the country, and specifically with the fact that since 1970 Syria has been ruled by a minoritarian sect in loose confederation with the country’s other non-Sunni minorities. The Alawi regime has needed the symbolic pan-Arab mantle of the Palestinian cause more than any other Arab state, particularly as one with a border with Israel. Regime leaders anyway did not consider the Golan to be their sectarian patrimony, but more important, peace and normalization seemed to the Syrian leadership more of a threat to its longevity (and to its ability to meddle in Lebanese affairs) than a benefit. Now that Syria as a territorial unit has dissolved in a brutal civil war, the legacy of 1967 has been rendered all but moot. Its partial pragmatism, tactical in character, gained the PLO a partial advance for the Palestinians through the truncated Oslo process: a kind of government with a presence in Palestine; some “police” under arms; a transitional capital in Ramallah; wide international recognition; and more. Withal, the “territories” remain under Israeli security control, and the Palestinian economy (jobs, electricity grid, water, and more) remains essentially a hostage to Israel’s. This has given rise to perhaps the most underappreciated irony in a conflict replete with them: First Israel internalized the Palestinian nationalist problem in June 1967 by occupying at length the West Bank and Gaza, and then the PLO internalized its Israel problem by drifting via Oslo into essential dependence on Israel for basic sustenance and even security support (against Hamas, for example). Note that it was hard for Israel to bomb PLO headquarters in Tunis in October 1985, but very easy to send a tank column into downtown Ramallah ten years later. It’s all so very odd, you may think, but there you have it. Now to the larger, international scene. What the Six Day War showed was that Soviet patronage of the Arabs and arms sales to them could deliver neither victory to the Arabs nor reflected advantage for the Soviet Union. This devalued the allure of Soviet regional overtures reassured the Western-oriented Arab regimes and hence played directly into the portfolio of U.S. and Western interests: keep the Soviets out, the oil flowing, and Israel in existence (the latter construed at the time as a moral-historical obligation, not a strategic desideratum). The Johnson administration figured the essence out, which is why in the aftermath of the war it did not do what the Eisenhower administration did after the Suez War of 1956: pressure Israel to leave the territories it had conquered in return for promises that, in the event, turned out to be worthless. It rather brokered a new document—UNSCR 242—calling for withdrawal from territories (not “the” territories) in return for peace. But it was not until the War of Attrition broke out in 1969 around and above the Suez Canal—a direct follow-on to the Six Day War—that the new Nixon administration codified in policy this basic strategic understanding. To prevent and if possible roll back Soviet inroads in the Middle East, the U.S. government would guarantee continued Israeli military superiority—that was the start of the major U.S. military supply relationship to Israel that endures today (the younger set may not know it, but Israel won the Six Day War with a French-supplied air force). In short, nothing the Soviets could supply or do would help the Arabs regain their lands or make good their threats. The events of the Jordanian Civil War in September 1970, and the way Nixon administration principles insisted on interpreting and speaking about that civil war, only deepened the conviction and the anchors of the policy. On balance, the policy worked well, despite one painful interruption. By July 1972, President Sadat had sent a huge Soviet military mission packing out of Egypt, and was all but begging the United States to open a new relationship. Egypt had been by far the most critical of Soviet clients in the Middle East, and Sadat’s volte face represented a huge victory for U.S. diplomacy. Alas, neither the victory-besotted Israelis nor the increasingly distracted Americans paid Sadat the attention he craved—so he taunted the Soviets to give him just enough stuff to draw Jerusalem and Washington’s eyes his way: He started a war in October 1973. This also worked, leading as already noted to the March 1979 peace treaty—a geopolitical and psychological game-changer in the region and, ultimately, beyond. For most practical purposes, Israel’s role as an effective proxy for U.S. power in the Middle East endured through the end of the Cold War, although its benefits paid out quietly, more often than not in what trouble it deterred as opposed to actively fought. And the Israeli-Egyptian relationship—imperfect as it may be—still endures as a guarantee that there can be no more Arab-Israeli conventional wars on the scale of 1967 or even 1973. These are both, at least partially, strategic achievements born of the conjoining of Israeli power and American diplomacy, and—it bears mentioning—these are achievements that were constructed and made to endure pretty much regardless of the state of play in Israel’s relations with the Palestinians. Obviously, the end of the Cold War put paid to the structure of this regional American strategy, its logic dissipated through victory. In that sense, the larger global strategic impact of the Six Day War ended when the Berlin Wall fell. While Israel remains a strategic partner of the United States in the post-Cold War environment, largely through intelligence sharing and other activities, its value as strategic proxy diminished as the focus of U.S. concerns moved east, toward Iraq and the Gulf. In the 1991 Gulf War, for example, Israel through no fault of its own became a complication for American policy—a target set for Iraqi scuds—not an asset, such that the U.S. government pleaded with its Israel counterpart not to use its military power against a common foe. Amid the sectarian and proxy wars of the present moment in the region, Israeli arms lack any point of political entrée that can aid U.S. policy. Even when it comes to counterterrorism efforts, Israeli intelligence is indeed valuable but we will not see Israeli special forces attacking salafi terrorist organizations far from home. The last thing Israel needs is to persuade still more murderous enemies to gaze its way. Only if the two parties come to focus on a common enemy—never the case during the Cold War, by the way, when for Israel the Arabs were the threat and for the United States the Soviets were the threat—could a truly robust U.S.-Israeli strategic partnership be born anew. And that common enemy, which could bring in also many Sunni Arab states and possibly Turkey as well, is of course Iran. But we are now very deep into the post-context of the Six Day War, more than six degrees of separation from any plausible causal skein leading back to June 1967. The war affected the political and social-psychological condition not only of state actors but of some others as well. As the Middle East crisis deepened in May 1967, I was a (nearly) 16-year old Jewish high school student in the Washington, D.C. area. Just like every American who was of age in November 1963 can remember where they were and what they were doing when they heard that President Kennedy had been assassinated, I suspect that just about every Jew of age anywhere in the world in May and June of 1967 can remember where they were and what they were doing when they heard that the war had started, and how they felt when it had ended. We had been frightened, and afterwards we were relieved and even elated. It turned out that a lot of what we thought was true about the state of affairs at the time was incorrect. That was hardly a unique experience, but more important, over time the effects of the Six Day War on American Jewry and other Jewish communities outside Israel were dramatic—and the triangular relationship between Israel, American Jewry, and the United States has never since been the same. Figuring it all out has borne its own challenges, surprises, and disappointments. Those on all three sides who thought they knew what was going on—who was dependent on whom, who could count on whom, who had political leverage over whom, and so on—learned better, often the hard way. But none of this has involved armies with modern weapons and high-level state diplomacies interacting; no, it is truly complicated and tends to generate narratives that are very, very shiny—so let’s just leave it at that. Eshkol (as well as the out-of-office but still prominent David Ben-Gurion) had counseled patience and restraint to Israel’s confident military leadership as the spring 1967 crisis grew, and only reluctantly came to the decision for war. Keenly sensing the ironies of history—Jewish history not least—he knew that the war would not be politically conclusive. He realized that whatever immediate threats needed to be extinguished, war would not deliver peace and security before, if ever, it delivered mixed and unanticipated consequences. He was right. Not even the shrewdest statesmen are wise enough to foresee the consequences of a major war: When you pick up the gun, you roll the dice. That, I think, is no shiny lesson, but one more likely for the historically literate to recall the past’s many dull pains. May it help future leaders to control their own and others’ expectations if use force they must. I have written on the anniversary of the Six Day War before: See “Arab Loss Had Profound Effect on Politics in the Middle East,” Jewish Exponent, June 5, 1987; “1967: One War Won, a Few Others Started,” Newsday, April 30, 1998; and “Six Days, and Forty Years,” The American Spectator, June 5, 2007. Guy Laron, The Six-Day War: The Breaking of the Middle East (Yale University Press). See, for example, Isabella Ginor & Gideon Remez, Foxbats Over Dimona: The Soviets’ Nuclear Gamble in the Six-Day War (Yale University Press, 2007). On the former, note my “The Bullshistory of “Sykes-Picot”, The American Interest Online, May 16, 2016. For detail on what is meant by “pre-embedded” in “generically weak states,” see my “The Fall of Empires and the Formation of the Modern Middle East,” Orbis (Spring 2016). A point emphasized in Michael Mandelbaum, “1967’s Gift to America,” The American Interest Online, June 2, 2017. I have written of this triangular relationship elsewhere: “The Triangle Connecting the U.S., Israel and American Jewry May Be Coming Apart,” Tablet, November 5, 2013. Copyright © 2000–2017. All Rights Reserved. Multiculturalism Destroying Europe – Is USA Next? 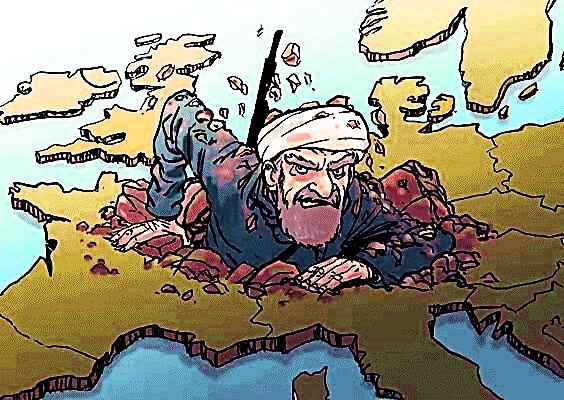 There is a problem in cities spread across Europe with Muslim enclaves. These enclaves are a Third-World Muslim brutality transplanted into Europe. The Muslim brutality is so pervasive that they are often dubbed as No-Go Zones for non-Muslims, too often even applying to police authority. SADLY, America’s Left Stream Media have thrown themselves into full scale Multiculturalist denial of the facts demonstrating No-Go Zones in European Muslim Enclaves is a painful reality. Dear God, even the Conservative to Left Stream Media in Fox News issued an apology for airing the No-Go Zone phenomena in European cities. Filmmaker Ami Horowitz recently encountered the all-too-real brutality to be found in a Muslim “no-go” zone in Sweden. “When they dragged me into that building, that’s really when I thought, ‘They’re going to end my life here,’” Horowitz told LifeZette. Horowitz painted a vivid picture of the extent of the danger of Muslim no-go zones in Sweden — even the police fear them, he said. As Horowitz noted, liberals love to pretend that Muslim no-go zones — Muslim neighborhoods to which even the authorities are afraid to venture and in which Sharia law is the rule and non-Muslims are attacked on sight — are little more than a figment of paranoid conservative imaginations. But as Horowitz would find out for himself, they are very much a horrifying reality. “Literally moments after I stepped into the town, a gang of five clearly Islamic men approached my crew, and they attacked me without provocation,” he continued. “They repeatedly punched, kicked and choked me, as a number of bystanders watched. Eventually they dragged me into a building, which at the time I assumed was to finish me off. Once inside the apartment building vestibule, they resumed their vicious attack. But seconds later someone opened an apartment door directly above us, and it luckily spooked them enough to run away,” wrote Horowitz. While it is nearly impossible to gauge the full extent of the no-go zone problem, it is safe to say there are hundreds of no-go areas scattered throughout Europe. A March 2016 report published by the Hungarian government found 900 areas across Europe. 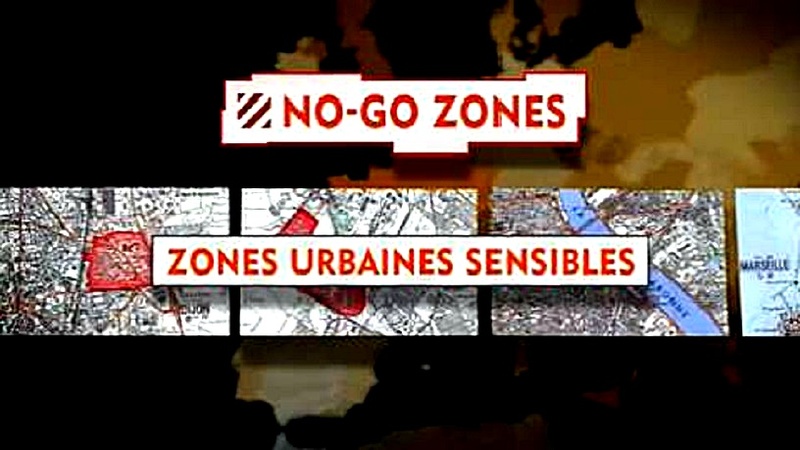 In France alone, where no-go areas are euphemistically referred to as “zones urbaines sensibles” — sensitive urban zones — the government counts over 750 such zones. In Sweden, the number could be “as high as 50, [but] the police who I spoke with … estimated there to be about 20-30,” Horowitz said. Germany also has its problems with no-go zones. In July 2015, a routine traffic stop in Gelsenkirchen turned into a nightmare when officers tried to carry out their duty. “During the arrest, the two officers were surrounded by about 50 members of a large family who suddenly appeared on the side streets,” local news reported. The mob tried to intimidate the officers into dropping the arrest, but when that failed, a 15-year-old attacked the officers from behind and started choking one. The situation only returned to calm after backup arrived. “It was only with the summoned reinforcements that the police were able to put the situation back under control and arrest the youthful attacker,” the report said. It does not take a rocket scientist that violence and murders against Europeans are largely the end result of carte blanche immigration of Muslims. These same Muslims have not and will not assimilate into the Western Culture. Thanks to the errors of Multiculturalism these Muslims are encouraged to retain the Medieval mentality that Islam is stuck in globally. This Medieval mentality has bred a Muslim hatred into second and third generation Muslims descended from first generation immigrants. Islam teaches superiority over all things non-Muslim. Hence, in refusing assimilation logically leads to resentment of 21st century Westerners not inclined to submit Medieval cultural thinking. These next-gen Muslims then are attracted to the concepts of what Westerners call Radical Islam. Enter Islamic terrorism into a European society that Multiculturalist politicians are in self-deceived denial which if continues, will likely result in the END of Western heritage that will be subsumed into an Islamized continent. This Multiculturalist idiocy MUST NOT be allowed to metastasize in America! 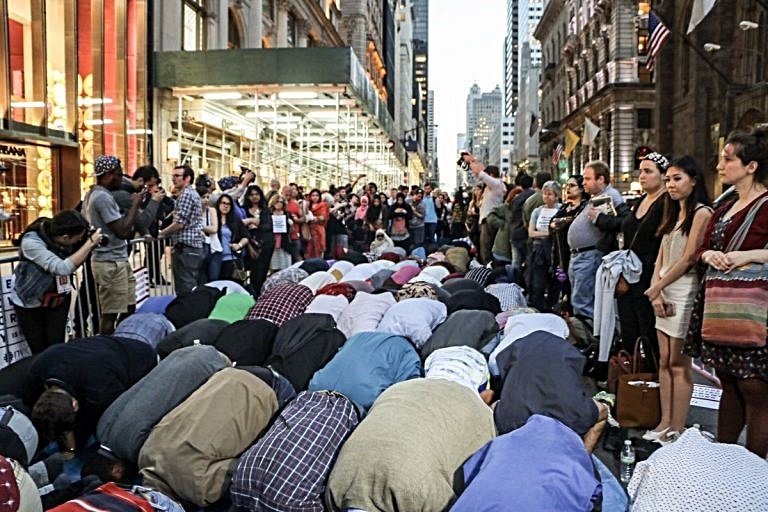 I wish I could use the phrase “not gain a toe-hold” in America, but thanks to the Obama years, Medieval-minded Muslim have already been brought in en masse to enlarge American-hating Muslim communities that have already formed non-assimilation zones in the U.S. of A. VIDEO: John Guandolo Moment: The Jihadist-Leftist Matrix Unveiled. John Guandolo Moment: The Jihadist-Leftist Matrix Unveiled. The federal government sleeps, many state governments – including those controlled by Republicans – do their best to accommodate muslims waging Civilization Jihad against America, and the hard-left Marxists – including nearly all of the local and national media – are collaborators in the enemy’s efforts. Hamtramck, Michigan is a small suburb of Detroitistan, and is the first town in America to have a majority muslim city council. This formerly Polish-Catholic town has been overrun by sharia-adherent muslims who have already achieved accommodations for sharia in the community. Falls Church, Virginia is home to the Muslim Brotherhood/Hamas’ Dar al Hijra Islamic Center. The Muslim Brotherhood leader of Dar al Hijra, Sheikh Shaker Elsayed (former President of the MB’s Muslim American Society), recently gave a lecture promoting female genital mutilation. Dar al Hijra is a jihadi factory whose property is owned by the MB’s bank NAIT (North American Islamic Trust). Al Qaeda’s Anwar al Awlaki was the Imam of the Dar al Hijra beginning in January 2001 and serving for over a year there. The community around Dar al Hijra has been taken over by sharia-adherent muslims. Law enforcement calls the two twin apartment buildings in the area “Taliban Towers,” and the number of jihadis in this area of Northern Virginia, only minutes from the nation’s capital, is significant. Historically, Paterson, New Jersey has been a melting pot of Irish, Germans, Dutch, Italians, Eastern Europeans and others. Christians and Jews made a home in this town approximately 20 miles outside of New York City. Now, estimates put the number of muslims in Paterson at over 30% of the total population. 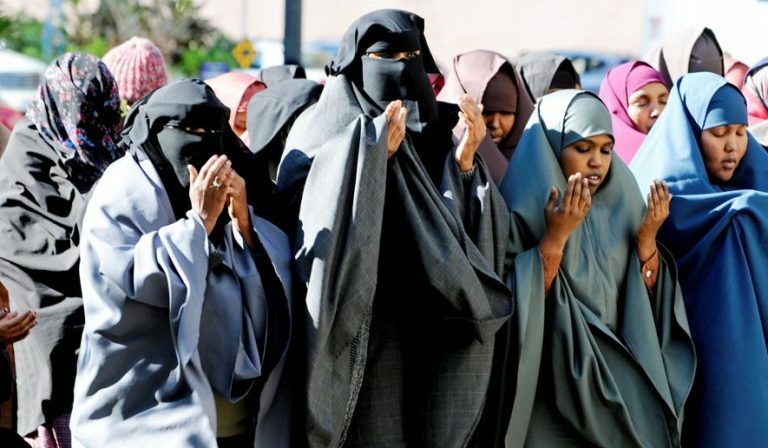 This number – possibly over 40,000 – makes Paterson, New Jersey the town with the one of the highest concentrations of muslims in the United States. Many Turks and Syrians are a part of the muslim community, but the majority are Palestinians/Hamas. Many citizens are concerned for their safety and security. What do these four communities – Paterson, Falls Church, Minneapolis, and Hamtramck – have in common? Muslims concentrated their efforts in these communities, built up their numbers, and then asked for accommodations. Once their numbers were significant enough, they made DEMANDS of local officials to accommodate sharia. Islamic leaders (read: Muslim Brotherhood et al) purchased numerous plots of land in these communities – often with funds from Saudi Arabia – and began building of Mosques/Islamic Centers, Islamic schools, etc. Once the mosques were built, land immediately around the mosque was purchased for muslims and, over time, muslims began occupying the land around the mosque up to a radius of approximately 3 miles. 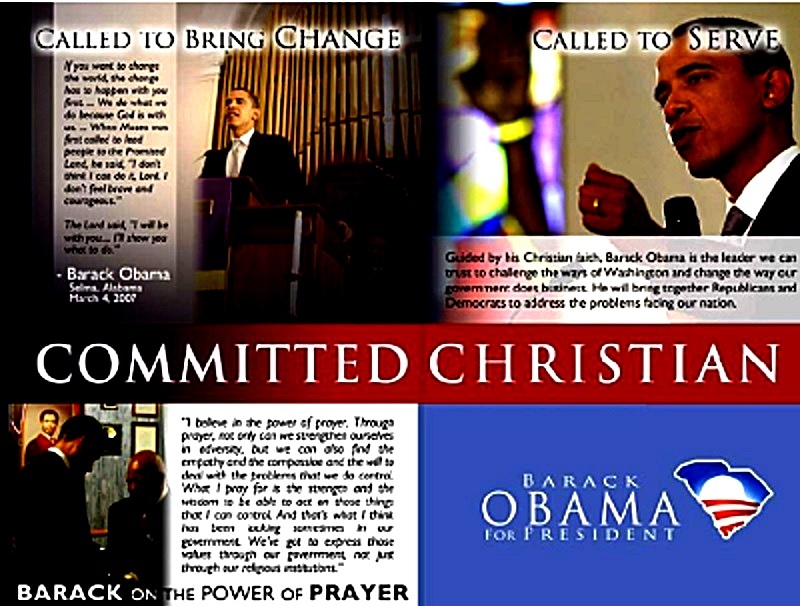 Islamic organizations (read: Muslim Brotherhood) began outreaching to local Christian and Jewish leaders, as well as law enforcement and elected officials with positive results. 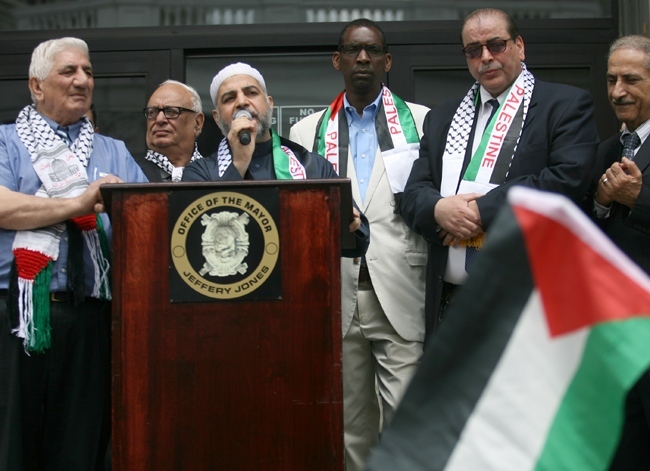 The majority of Pastors and Rabbis stood/stand with jihadis (“terrorists”) and publicly defend them because the Muslim Brotherhood’s “Interfaith Outreach” efforts work; many elected officials believe they “have to” meet with jihadi leaders to show how “progressive and open minded” they are; and law enforcement remains unaware of the grave threat growing like a cancer in their communities. Collaborators in the media wrote/write glowing stories about how wonderful the muslims are and defend them right up to and, in some cases, after they kill Americans (eg New York Times defending Anwar al Awlaki after the U.S. government killed him because he was the Al Qaeda leader in Yemen). Cities which stand up against this onslaught, at least under the previous administration, find themselves fighting a lawsuit from the Department of Justice and U.S. Muslim Brotherhood groups. In Bernard Township, NJ the town council said no to Islamic leaders’ request to build an Islamic center/mosque for a number of reasons. The DoJ and the Muslim Brotherhood’s Islamic Center of Basking Ridge sued and forced the city to allow the mosque be built. As each day goes by the problem gets worse and the enemy digs in and enhances their fighting positions in the United States. UTT encourages all Americans to pay attention to what is going on around them in their community. The enemy is inside the wall. A muslim representing an Islamic organization has a 99.9% probability of being a jihadi because all of the prominent Islamic organizations in the United States are jihadi/hostile as a matter of fact. Islamic leaders may give a friendly appearance, but they want what ISIS an Al Qaeda want – an Islamic state under sharia. What are you doing to prevent your town from surrendering to the jihadis in your community? Are you holding your leaders accountable? Are you boldly speaking truth? Do you understand the threat? Sheriffs and Pastors are the most important people in this war. We will attain victory when sheriff’s and their deputies understand the threat and aggressively go after it. Law Enforcement can only do this if the citizens also understand the threat. 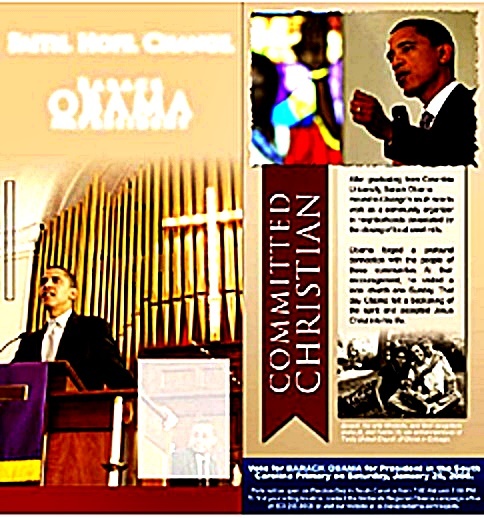 Pastors are the key to ensuring that happens, so they must speak truth in love to open the eyes of the American people. Copyright 2017. Understanding the Threat. All rights reserved. Author oneway2dayPosted on June 5, 2017 Categories Counterjihad, Immigration, IslamismTags Islamic Terrorism, Jihad Trojan, John Guandolo, MB Groups, Multiculturalism, Muslim Immigration, Muslim Refugees, No Go Zones, USA, UTTLeave a comment on Multiculturalism Destroying Europe – Is USA Next?